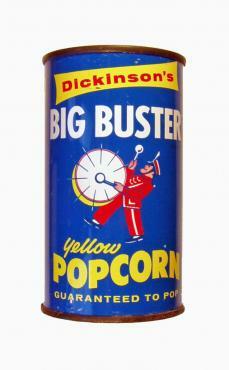 Dickinson's Big Buster brand yellow popcorn in blue, yellow and white 10-ounce container made of tin and measuring 4-3/4 inches tall. Dated 1960. Specifies that the popcorn is guaranteed to pop.